The following is taken from the 1930s US Great Depression chapter of A Template for Understanding Big Debt Crises (which is available for free download HERE). I’m passing it along because I think that the 1935-40 period is most analogous to the current period and that it is worth reflecting on what happened then when thinking about US-Chinese relations now. To be clear, I’m not saying that we are on a path to a shooting war, but I am saying that we have to watch what path we are on, given these cause-effect relationships that history has taught us and that are described in the template. This excerpt describes how the economic and political conditions of the late 1930s evolved into the wars that followed. While the purpose of this chapter has been to examine the debt and economic circumstances in the United States during the 1930s, the linkages between economic conditions and political conditions, both within the United States and between the United States and other countries—most importantly Germany and Japan—cannot be ignored because economics and geopolitics were very intertwined at the time. Most importantly, Germany and Japan had internal conflicts between the haves (the Right) and the have-nots (the Left), which led to more populist, autocratic, nationalistic, and militaristic leaders who were given special autocratic powers by their democracies to bring order to their badly-managed economies. They also faced external economic and military conflicts arising as these countries became rival economic and military powers to existing world powers. The case is also a good example of Thucydides’s Trap—where rivalries between countries lead to wars in order to establish which country is more powerful, which are then followed by periods of peace in which the dominant power/powers get to set the rules because no country can fight them until a rival power emerges, at which time they do it all over again. To help to convey the picture in the 1930s, I will quickly run though the geopolitical highlights of what happened from 1930 until the official start of the war in Europe in 1939 and the bombing of Pearl Harbor in 1941. While 1939 and 1941 are known as the official start of the wars in Europe and the Pacific, the wars really started about 10 years before that, as economic conflicts that were at first limited progressively grew into World War II. As Germany and Japan became more expansionist economic and military powers, they increasingly competed with the UK, US, and France for both resources and influence over territories. That eventually led to the war, which culminated in it being clear which country (the United States) had the power to dictate the new world order. This has led to a period of peace under that world order and will continue until the same process happens again. In 1930, the Smoot-Hawley Tariff began a trade war. In 1931, Japan’s resources were inadequate, and its rural poverty became severe, so it invaded Manchuria, China to obtain natural resources. 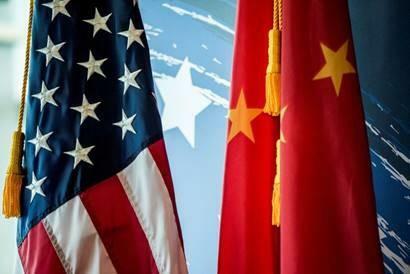 The US wanted to keep China free from Japanese control and was competing for natural resources—especially oil, rubber, and tin—from Southeast Asia, while at the same time Japan and the US had significant trade with each other. In 1931, the depression in Japan was so severe that it drove Japan off the gold standard, leading to both the floating of the yen (which depreciated greatly) and big fiscal and monetary expansions that led to Japan being the first country to experience a recovery and strong growth (which lasted until 1937). In 1932, there was a lot of internal conflict in Japan, which led to a failed coup and a massive upsurge in right-wing nationalism and militarism. During the period from 1931 to 1937, the military took over control of the government and increased its top-down command of the economy. In 1933, Hitler came to power in Germany as a populist promising to exercise control over the bad economy, to bring order to the political chaos of the democracy of the time, and to fight the communists. Within just two months of being named chancellor, he was able to take total authoritarian control; using the excuse of national security, he got the Reichstag to pass the Enabling Act, which gave him virtually unlimited powers (in part by locking up political opponents and also by convincing some moderates that it was necessary). He promptly refused to make reparations payments, stepped out of the League of Nations, and took control of the media. To create a strong economy and attempt to bring prosperity to the people, he created a top-down command economy. For instance, Hitler was involved with setting up Volkswagen to build a more affordable car, and directed the building of the national German Autobahn (highway system). He believed that Germany’s potential was limited by its geographic boundaries, that it didn’t have adequate raw materials to feed the industrial military complex, and that German people should be ethnically united. At the same time, Japan became increasingly strong with its top-down command economy, building a military industrial complex, with the military intended to protect its bases in East Asia and Northern China and to expand its controls over other territories. Germany also got stronger by building its military industrial complex and looking to expand and claim adjacent lands. In 1934, there was severe famine in parts of Japan, causing even more political turbulence and reinforcing the right-wing militaristic and nationalistic movement. Because the free market wasn’t working for the people, that led to the strengthening of the command economy. In 1936, Germany took back the Rhineland militarily, and in 1938, it annexed Austria. In 1936, Japan signed a pact with Germany. In 1936-37, the Fed tightened, which caused the fragile economy to weaken, and other major economies weakened with it. In 1937, Japan’s occupation of China spread, and the second Sino-Japanese War began. The Japanese took over Shanghai and Nanking, killing an estimated 200,000 Chinese civilians and disarmed combatants in the capture of Nanking alone. The United States provided China’s Chiang Kai-shek government with fighter planes and pilots to fight the Japanese, thus putting a toe in the war. In 1939, Germany invaded Poland, and World War II in Europe officially began. In 1940, Germany captured Denmark, Norway, the Netherlands, Belgium, Luxembourg, and France. During this time, most companies in Germany and Japan remained publicly owned, but their production was controlled by their respective governments in support of the war. Beginning in September 1940, to obtain more resources and take advantage of the European preoccupation with the war on their continent, Japan invaded several colonies in Southeast Asia, starting with French Indochina. In 1941, Japan extended its reach by seizing oil reserves in the Dutch East Indies to add the “Southern Resource Zone” to its “Greater East Asia Co-Prosperity Sphere.” The “Southern Resource Zone” was a collection of mostly European colonies in Southeast Asia, whose conquest would afford Japan access to key natural resources (most importantly oil, rubber, and rice). The latter, the “Greater East Asia Co-Prosperity Sphere,” was a bloc of Asian countries controlled by Japan, not (as they previously were) the Western powers. Japan then occupied a naval base near the Philippine capital, Manila. This threatened an attack on the Philippines, which was, at the time, an American protectorate. In 1941, to aid the Allies without fully entering the war, the United States began its Lend-Lease policy. Under this policy, the United States sent oil, food, and weaponry to the Allied Nations for free. This aid totaled over $650 billion in today’s dollars. The Lend-Lease policy, although not an outright declaration of war, ended the United States’ neutrality. In the summer of 1941, US President Roosevelt ordered the freezing of all Japanese assets in the United States and embargoed all oil and gas exports to Japan. Japan calculated that it would be out of oil in two years. In December 1941, Japan attacked Pearl Harbor, and British and Dutch colonies in Asia. While it didn’t have a plan to win the war, it wanted to destroy the Pacific Fleet that threatened Japan. Japan supposedly also believed that the US was weakened by both fighting a war in two fronts (Europe and the US) and by its political system; Japan thought that totalitarianism and the command military industrial complex approaches of their country and Germany were superior to the individualistic/capitalist approach of the United States. These events led to the “war economy” conditions explained at the end of Part 1. When 1) within countries there are economic conflicts between the rich/capitalist/political right and the poor/proletariat/political left that lead to conflicts that result in populist, autocratic, nationalistic, and militaristic leaders coming to power, while at the same time, 2) between countries there are conflicts arising among comparably strong economic and military powers, the relationships between economics and politics become especially intertwined—and the probabilities of disruptive conflicts (e.g., wars) become much higher than normal. In other words economic rivalries within and between countries often lead to fighting in order to establish which entities are most powerful. In these periods, we have war economies, and after them, markets, economies, and geopolitics all experience the hang-over effects. 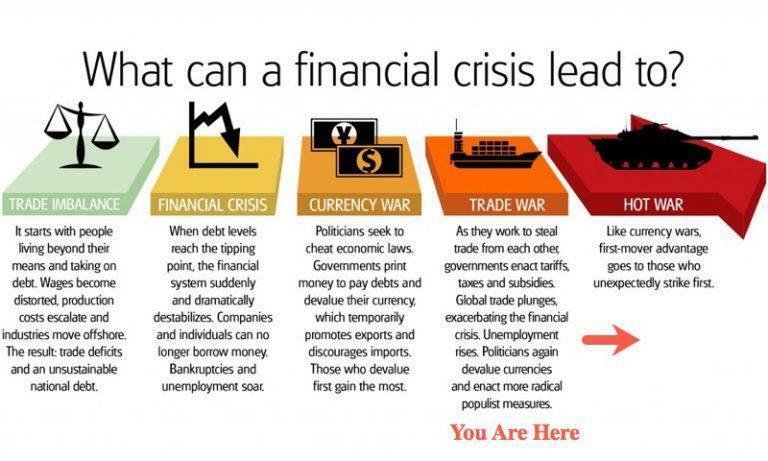 What happens during wars and as a result of wars have huge effects on which currencies, which debts, which equities, and which economies are worth what, and more profoundly, on the whole social-political fabric. At the most big-picture level, the periods of war are followed by periods of peace in which the dominant power/powers get to set the rules because no one can fight them. That continues until the cycle begins again (because of a rival power emerging). Appreciating this big economic/geopolitical cycle that drives the ascendancies and declines of empires and their reserve currencies requires taking a much longer (250-year) time frame, which I will touch on briefly here and in more detail in a future report. In the back of the minds of all parties, regardless of which path they choose, should be their relative powers. In the first case, each party should realize what the other could force on them and appreciate the quality of the exchange without getting too pushy, while in the second case, the parties should realize that power will be defined by the relative abilities of the parties to endure pain as much as their relative abilities to inflict it. When it isn’t clear exactly how much power either side has to reward and punish the other side because there are many untested ways, the first path is the safer way. On the other hand, the second way will certainly make clear—through the hell of war—which party is dominant and which one will have to be submissive. That is why, after wars, there are typically extended periods of peace with the dominant country setting the rules and other countries following them for the time it takes for the cycle to happen all over again.